Teaching can be so wonderful. Taking in a bumpkin and gradually transforming him into an articulate and able martial artist feels rewarding in itself. Of course, not everything is nice and rosy and teaching does have its bad sides. 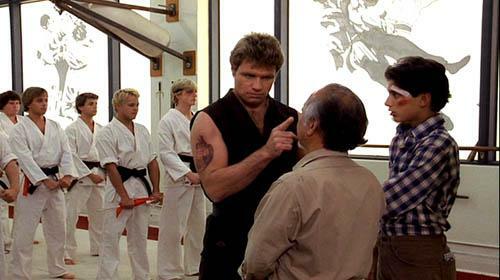 Here are eleven annoyances of being to be a martial arts instructor. If you are planning on opening a training hall or already have one, this list should help you prepare against potential problems. Instructions on how to deal with the issues are out of the scope as we believe it is up to each instructor to come up with their own solutions. In occidental countries, teachers are not regarded with much value or even respect. Perhaps, the capitalist culture of consumerism may explain this tendency, since people are used to measure values in terms of monetary worth. Because martial arts instruction or even any type of education in general is relatively cheap, people do not respect the teaching or the instructors. In the mind of the students (and their parents), they pay for martial arts lessons and expect to be taught. Consuming students are not alone to be blamed, after all, it can be said that the first requirement needed of a student in order to gain entry to a school is that he pays his tuition fee. Newcomers often do not know much about genuine martial arts and base their preconceived notions and expectations from unrealistic movies. This leads students (and their parents) to question and criticize the instructor when they perceive progress to be too slow or when they think the instructor is not doing an adequate job, especially when compared to Hollywood movies. These occurrences can be explained by the fact that most people do not have any point of reference to compare the quality of the teaching, so they refer to notions (as wrong as they are) from movies. One of the joys of learning martial arts is the feeling of progressing, learning new things and growing as a martial artist. After a few months of training, the excitement wanes down and many get start feeling bored, as learning new techniques slows down to make place for fine tuning of details in known techniques. Anyone who practiced martial arts for a long period of time can relate to the perceived feeling of not progressing leading to a loss of motivation. “Do not be afraid of advancing slowly, only be afraid of standing still” said a Chinese fortune cookie. Because of that loss of motivation, many will quit after only a few years of training, while new recruits who have to learn everything from scratch continue coming in. This explains why schools are usually filled with lower belts rather than higher belts. This often means that the biggest group in terms of number of people in the school is always lower belts which incidentally require more attention and time from the instructor. After years of always teaching the same basic mechanics, the teacher may feel like he is not progressing in his teaching skills and may lose motivation, just like students would. Most instructors do not have any degrees in education, learning the ways of teaching from their martial arts teachers and their personal experience. Teaching, may be fun and easy for the students who earnestly try their best to follow the instructions, but what of the children that do not want to listen and otherwise disrupts other students? The instructor cannot inflict physical punishment or even elevate their voices in hopes of disciplining the student at fault, without risking getting in trouble with over-protective parents or local laws. Teaching exclusively to adults also has its potential share of problems. The instructors may need to take care of cases of animosity between students, lack of respect, confrontational attitudes, bullying, sexual harassment etc. Gratefulness is not a natural trait of human beings, which may explain the lack of gratitude exhibited by most students. One Canadian 6th dan Tae Kwon Do instructor once argued that his personal achievement were due to his hard work and had very little to do with being taught by his teacher and went on asserting that he would have achieved the same skill levels had he trained under any other teacher. He relegated the role of a teacher to being a learning tool, not unlike a book or instructional DVD. Opinion from a 6th Dan: "These are as good as any sensei or teacher!" In a society that gives little importance of teachers, is the 6th dan’s point of view so surprising? Who can name the teacher of Chuck Norris, Steven Seagal, Benny Urquidez or even Jackie Chan or Jet Li? The only famous student-teacher relationship universally known by the public was between Bruce Lee** and Yip Man (Ip Man). *Chong Lee is a 10th dan Grand-Master accredited with being the first to introduce Korean Tae Kwon Do in Canada. ** The known relationship is not in itself that surprising since it is Bruce Lee we are talking about. People’s obsession lead them to dig for any tidbit of information they could find on him, including what he ate for breakfast and what his favorite color was.